Founded in 2015 and headquartered outside Washington, DC, its mission is to grow the game of golf through youth caddies and make them widely and easily accessible to golfers of all skill levels at affordable prices. The company’s service is operating at more than 110 courses in eight states, including top 100 clubs around the country. It is also used by thousands of golfers at tournaments and special events. Playing golf with a CaddieNow looper is the way the game is meant to be played. When walking with a looper, a golfer feels like a pro, enjoys the round more, gets more exercise, and most importantly, plays better. Golfers simply download the free CaddieNow App, which is available for either iPhone and Android devices. Golfers can immediately start using the service at any of the participating courses. We’re changing the way you think of caddie programs. With CaddieNow, we solve many of the concerns clubs encounter with various service levels. With CaddieNow Concierge, our software as a solution model, clubs with existing caddie programs can utilize our industry leading management platform and mobile app to simplify communications and streamline operations. such as our software as a solution model, clubs with existing caddie programs can utilize our industry leading management platform and mobile app to simplify communications and streamline operations. programs. 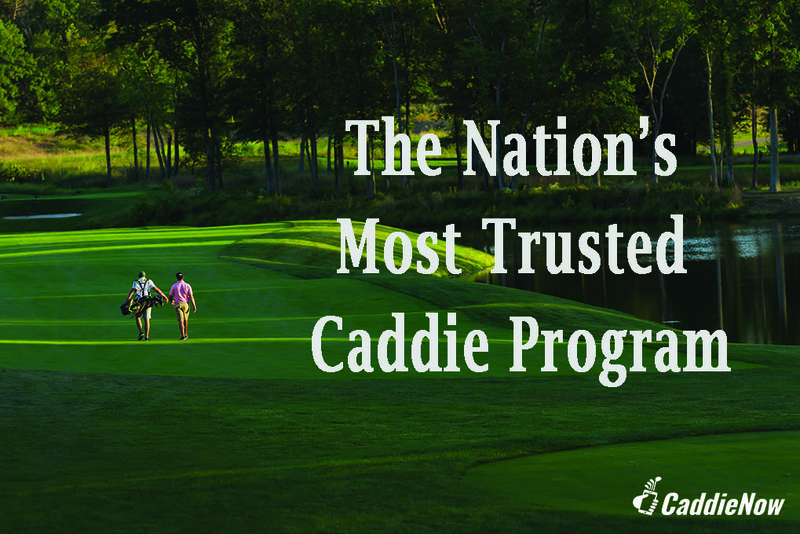 With CaddieNow Premiere, CaddieNow serves as a full-service employer for your caddie pool and fully customizes the program’s policies and procedures to meet the needs of your club while minimizing liability and ensuring a high-quality member experience. Upgrade your tournament experience and generate incremental revenue with CaddieNow. Sponsors choose the premium exposure for the tournament and golfers love the service. Forecaddies are an ideal choice for tournaments, corporate outings and charity events. The back of the CaddieNow bib has an open velcro patch which give a sponsor front and center advertising during the event.